Currently, synthetic turf is popularly used by homeowners and business executives. It can be used on playgrounds and back gardens just to mention a few. 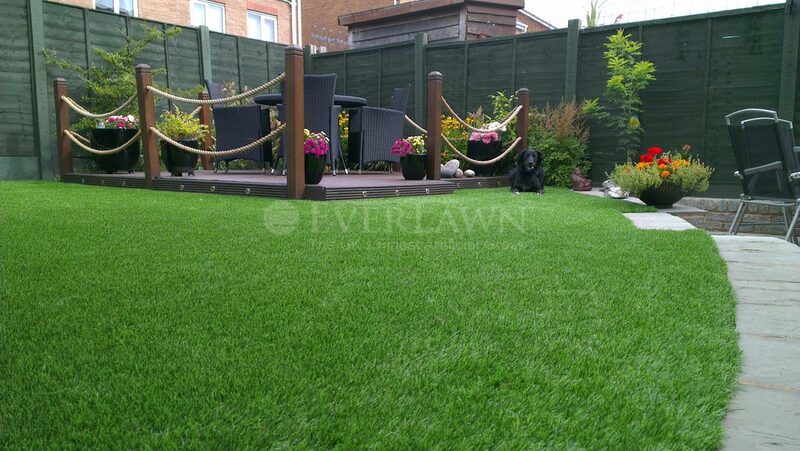 It is a fact that artificial lawns offer a beautiful and affordable alternative to growing grass. Before opting to purchase artificial turf, you should get conversant with its features and benefits. It would also be wise to ensure that you buy a product that resembles grass in colour and appearance. There are numerous advantages of going for synthetic turf. The main benefit being that it has low maintenance costs. Better yet, it is possible for you to find a product that resembles grass 100 per cent. This means that no one will notice that it is not natural grass unless you tell him or her. It is best to ensure you purchase the best brand available in the market. You will also benefit from getting good value for your money. Remember that thanks to technology advancements, you can now enjoy products that are cost effective and have increased efficiencies. You can be sure of saving a considerable amount of money if you choose artificial grasses over a stone pavement or growing natural grass. Water is a basic need that people must protect with jealousy. Artificial lawns are friendly to the environment because they do not need to be watered. What you may not know is that homeowners who grow grass on their backyards use more than 60 per cent of their water on grass and other plantation. You could save a lot of water and slash your bills by half if you go for synthetic grass. An artificial lawn is ecologically friendly because it does not call for the use of pesticides. The grass is made from rubber and special plastics and therefore insects cannot feed on them. You will also save your environment from fertilizers that may later pollute lakes or rivers. You should know that a lawnmower could produce the exhaust fumes of more than ten modern vehicles. The best thing about your investment is that you will receive a warranty. The quality of lawns produced today, allow manufacturers to offer warranties for up to 20 years. When making a purchase, inquire about the guarantee period offered by different manufacturers. It will not be hard for you to find grass that looks very natural and has a reasonable warranty period. You must be acquainted with the stipulations of your warranty. Remember that you may not be eligible for compensation if you violate the terms and conditions of your guarantee. Due to the rising demand for synthetic lawns, manufacturers are more careful about the representatives they hire. This means that you can be sure of receiving top-notch customer care from just about any dealer in your area. If you intensify your investigations, you should be able to benefit from competitive prices. Water rationing programs are very common in this day and age. Authorities have now turned to forcing conservation of this precious commodity. In most cases, you will find that you receive water for a limited number of days or hours. If this does not happen, then you may find out that you have to pay more money for every litre of water you use in your home. You could save yourself from the hassle of dealing with water shortages and hefty bills if you opt for artificial grass. The first step to getting an evergreen backyard is learning the different products that are available in the market. You should aim research on finding attractive grass that looks natural and has a reasonable warranty period. You need to request for samples from different companies and compare the products. For the best results, settle for a product that will make your backyard as elegant and natural looking as possible. You will also need to consider the density of a product before making a purchase. This is because you may have to request for an infill frequently if your lawn cannot withstand heavy pressure from people and cars. Choose a product that is lusher in appearance. You should also ensure you choose a product that has a thick quality backing. This will prohibit blades from breaking and protect it from the abrasive stone layer underneath. Buying and installing synthetic turf does not come cheap. It is best to let the installation experts know about your unique needs. This way, they can tailor an installation to suit the exclusive needs of your property. It is important to ask questions and learn about the materials that will be used during installation. A good dealer will be glad to answer your questions and clear your doubts.